« What’s on your wish-list? It’s kind of silly, and already has been covered before… probably. It also figures that the only thing that almost makes me tear up in the show was Naoi’s words of thanks to Otonashi before he disappeared. Maybe it was because we could see the fruits of Otonashi’s help in a more visceral way than with others. Maybe it was because Naoi’s tears were present, and grateful more than anything else. I don’t know, maybe it was because he could work well as a trap or something… But to me that thank you was more sincere than a series of brief tragic pasts of the characters “and that’s it” afterwards where I guess that’s where were supposed to feel things for the characters. But yeah, parody and all that. Before that moment, what got me thinking was in believing that the world of the series was just a video game in a way. 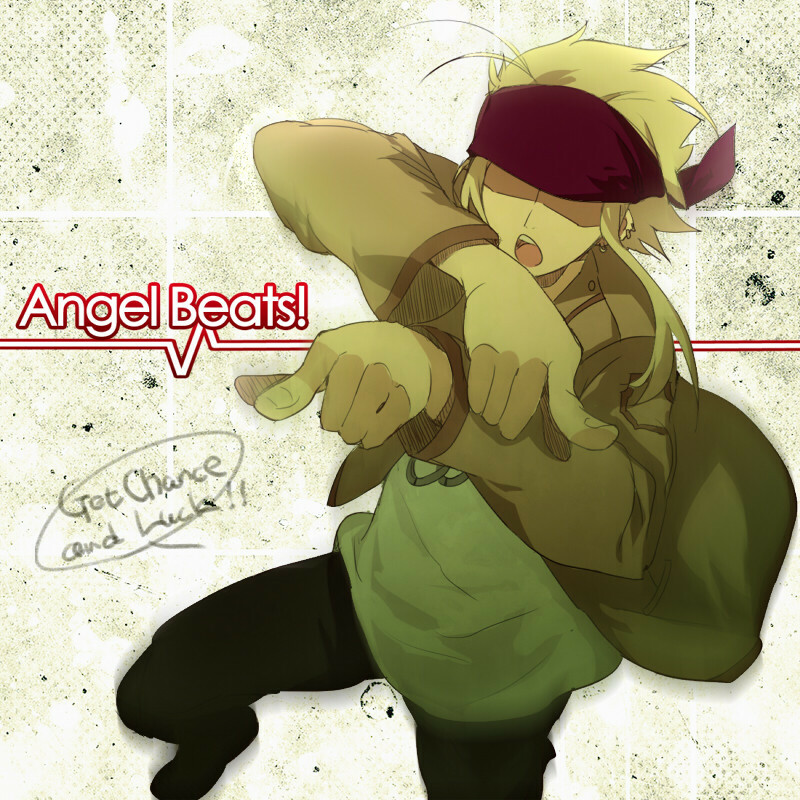 (And while I guess relating the Angel Beats! universe to The Matrix makes more sense, I feel worse in comparing the two having only seen the first movie.) You had the “leveling up” in terms of acquiring more knowledge in the way the world works or in changing and modifying the rules to Angel Player. Learning more about the truth behind Tenshi, and having her become a part of your group in fighting a larger enemy. Different locations like The Guild highlighted as vital points of location. The fighting, and how one never really died when they were killed (unlimited continues sound fun, though the ways that people can go here don’t). I could continue with my unfocused and broken metaphors, but it was more that this thought really came into shape after Takamatsu became an NPC. How it happened bugged me, since it broke some of the rules of the world in forcing Takamatsu to become an NPC, and essentially making him soulless in the process. Of course, he got better, but the assumption was that the game couldn’t contain our main group of rebels in that way; disappearance was the only option, be it listening to Tenshi or achieving one’s dreams. We also know that this information is not bulletproof, as we find that the diviner of that rule still didn’t completely know how the world worked herself. The shadow things also showed the fact that just because you had a soul did not mean it couldn’t be taken away from one so easily. In a world of unlimited lives, where the soul still burns regardless of how many times one dies, the prospect of not having one at the time as “not disappearing” never occurred to me at that point of time. Seeing it happen in the world did not compute, to be honest, and so to quickly file that away in my thoughts, I assumed that the world is a game, since that’s one of the few places where that could be possible. (and now you know a little bit of my thought process. Not necessarily a good thing. )I was only glad that it didn’t happen again after that, though how it was rationalized to Yuri by “The Architect”, and how it resolved soon after the fact was also a little annoying as well. Ah well. Besides that, Yui could go hang herself for all I care (and the scene where she does exactly that while the SSS just watches is one of my favorites in the whole show’s run), and there needed to be much more TK. I really hoped that he’d bust out a line from Dance Dance Revolution like “YOU ARE THE KIIING OF DANCE!” or more dancing like Michael Jackson when thinking, or something. 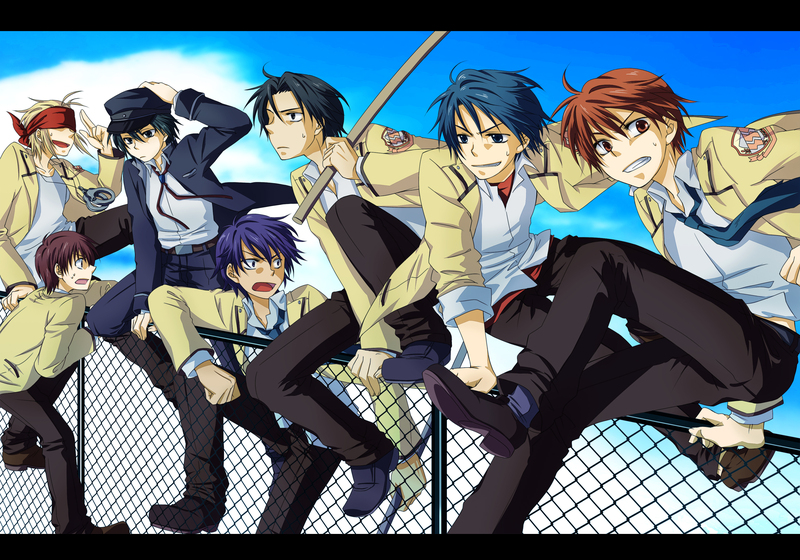 Yeah, that might be it about Angel Beats! for me. I didn’t even bother trying to analyze Angel Beats. As you’ve said, it’s a world of “immortals”. They can’t really be harmed, and it turns out they’re only really denying themselves happiness (some of them even realized that to begin with). Makes it kinda hard to care about them in retrospect.. especially when we know almost nothing about any of them. You almost have to work harder than the guys who wrote Angel Beats to appreciate the characters on a non-superficial level. And that’s while you’re watching it.. once it’s over, you realize just how cheesy and simplistic it really was. I mean, TK, one of the least developed and most pointless characters in the show, is the most popular. I can’t say that’s a sign of a quality anime right there, but it doesn’t have to be.. I’m analyzing something that barely has any substance to begin with. T.K. was awesome, man. Ominously watching things from the background, giving wise advice such as “CHOPCHOPCHOP”… he need not character development to prove his worth. That way that last ep went was baffling in a bunch of ways. In the penultimate episode, they establish there was this “proto-Otonashi” who had a bad-end and turned himself into an NPC. But since Otonashi wasn’t particularly love-love with Kanade, maybe no bad-end for him. Then in the last episode we have a confession and mad weeping at being left alone, fitting the bad-end scenario exactly (well, they throw in a red-herring by having him volunteer to go sooner). Phew, in the epilogue we see that he’s okay. But then, what was the whole point of the proto-Otonashi? There are a billion ways that one could explain the creation of diabolical shadows, why make the culprit follow that particular scenario? that show turned out really sad. the girl was paralyzed since she was young. a student died saving n thinking of others. n so on.